The post These Are The Home Improvements With The Best ROI In 2019 appeared first on Freshome.com. Every year, Remodeling Magazine releases their Cost vs. Value Report, an in-depth look at the return on investment (ROI) that common remodeling projects get across the county. This year was no different. When the 2019 Cost vs. Value Report came out, we knew that we had to share it with you. Below are the remodeling projects that topped this year’s report with the best ROI, as well as some of our tips on how to best design these spaces. Read them over to see which projects will be at the top of your list this year. 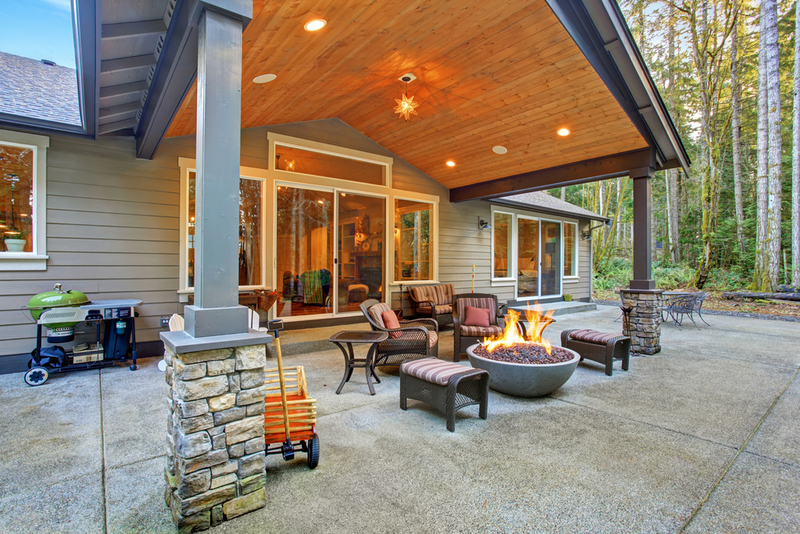 Even though it’s still wintertime, that didn’t stop outdoor additions from topping Remodeling’s list ? and we can see why. After all, who wouldn’t want a backyard oasis, somewhere they can go to totally escape from the pressures of day-to-day life" If you take the time to invest in your backyard patio, it will do all that for you and more.